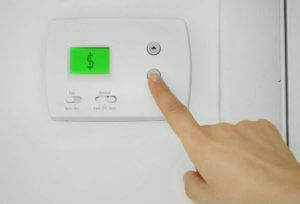 Heating and cooling are the largest energy expense in your home and account for nearly half of your home energy use. With this in mind and with the Tucson summer in full swing, we’re sharing our top 5 energy and money saving tips for the summer. A programmable thermostat can help you save up to 10% on heating and cooling a year. Keep the house warmer than normal when you’re away and set it to 78° when you’re home. You could save as much as 1% for each degree if the setback period is eight hours long. Air loss through ducts accounts for about 30% of a cooling system’s energy consumption. Have your ducts insulated and sealed. Take advantage of your ceiling fans. The use of fans allows you to raise the thermostat up to 4 degrees without compromising your comfort. If you’re ready for a new air conditioning unit, consider buying an ENERGY STAR qualified unit. These models are up to 15% more efficient than standard models. Talk to an expert to make sure you are getting a unit that is the right size for your home and comfort needs. In total, these changes can help you reduce air conditioning energy use by 20-50% and that’s great news for your energy bill! At Russett Southwest, your comfort is our goal. For 70 years, we have served as one of the top heating and cooling companies in the Tucson area. Our experience means that you’ll get the best service and products for you and your home. To learn more or to schedule a visit, check out our website or call (520) 629-9676.